Hmm. A friend said I like contrasts like this. I think he may be right. I love the contrast of the shiny leaves, newly opened to the world, climbing up the weathered, rusty post which has been standing its ground since some farmer planted it there so many years ago. It also makes me smile to think about how it appears that the post is sprouting new leaves for the spring! 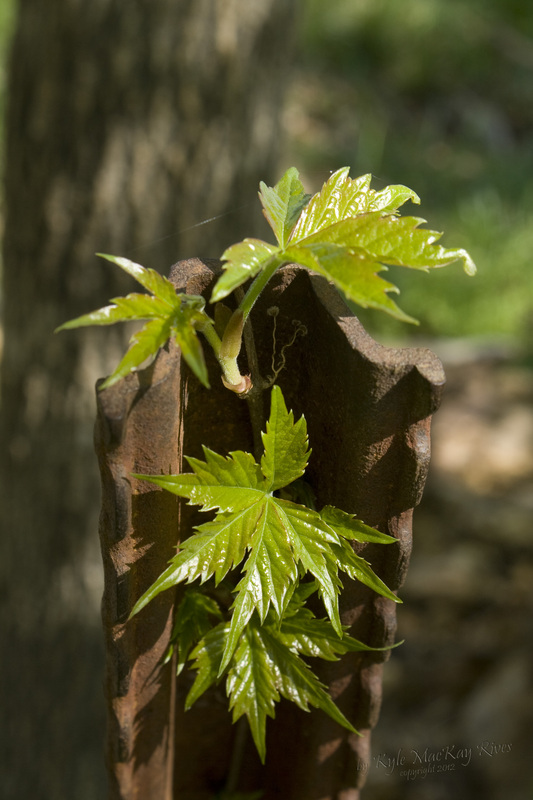 This entry was posted in photography and tagged 2012, leaves, nature, outdoors, photo, Photograph, Photography, post, rusty, Virginia creeper.